We come through now in this hour of your time to offer you some higher perspective with regards to the energetics that are currently subsuming Mother Gaia, and are being most pertinently experienced by the illumined blue Ray twin flames. 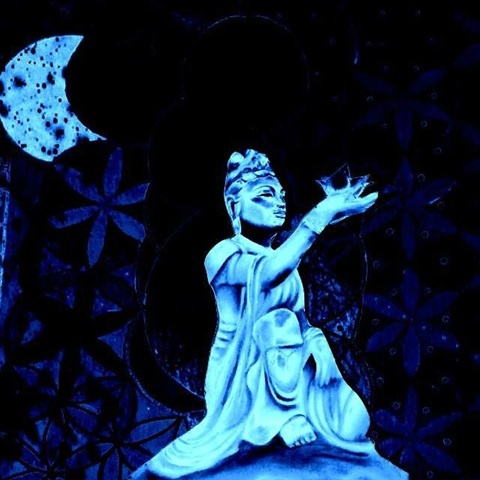 We come forth now with a deep and profound Soul gift for each and everyone of you on this auspicious day where upon your earthly plane you are experiencing what is known as a blue moon. This is currently occurring in the sign of Aquarius and is opposing the sun which is currently lined up in the sign of Leo alongside many other planets which are forming retrograde aspects at this time. The message of this potent moon is that the illumined twin flames are ever more rapidly coming into their alignments on their necessary grid points for the blood moon in September. There is a deep and profound merging of the twin flames Etheric bodies right now which has always existed in their higher dimensional consciousness fields, but within this particular energetic gateway this template is rapidly coming into manifestation on the lower fourth dimensional planes of consciousness and the higher third dimensional plane. The potency of this etheric merge that is now actually taking place for many of you as we speak is bringing your twin flame vibratory frequencies to one of identical resonance, and many of you are now in this gateway truly coming into the realisation that you are identical twins. however as many of you are realising the extent of your twin ship during this gateway there is also a deep and abiding sense of wholeness and awareness of self which is at the foundation of all your experiences. Aquarius celebrates freedom and independence and communion and leo represents individuality and shining to full capacity within one's very own being. this time is calling everyone to be balanced now as the time for physical earthly union from many twin flames is upon many of you and you are being called to step up now into the living mastery of the twin flame template in its actualised state which means keeping at the forefront your primary relationship which is ALWAYS with your Godself. There are many exciting energetic aspects of the 888 gateway that will be we will be sharing in due time but these numbers hold a potent clue into the cosmic intention that the Gamma waves from wave X are bringing forth to mother Gaia. 888 represents two whole circles that have merged together this is symbolic of each twin flame having to come to that place of wholeness within the self that it may unite with is the divine other... whole Mate. The 888 gateway is all about the Trinity of this divine union template anchoring in divine timing upon the earthly grid and penetrating it is holographic perfection onto the 3D consciousness field. All of this is taking place now beloveds that you may swiftly come into energetic alignment to fully receive these divine union codes that are manifesting for many of you right now upon Terra Gaia. On this full moon eve remember that you hold the power to close the chapter of the book of the story of your life up until this point, at every moment you are given a clean and blank slate from your higher self to truly write these God ordained love stories back into being, whilst eternally remembering that the primary purpose of the twin flame connection is to bring you home to yourself...this gateway is urging you now to step into the full self realised living masters, teachers wayshowers that you have truly come here to be, remembering your primary relationship is ALWAYS with our own higher self..
All of these tests are bringing with them unimaginable miracles that you cannot possibly comprehend with your limited consciousness, however this gateway that is upon mother Gaia now is bringing with her the intelligent light particles of miracle consciousness, everybody is now receiving this higher dimensional template which is as we have stated is a fresh new programme entering the earth matrix now…..ride this wave now, and programme your dna to upgrade to miracle consciousness. A word about the current ascension symptoms that are being experienced by many...please understand that these are vibrational clearings and adjustments that are taking place now in your emotional and etheric body, and this particular gateway is bringing with it a heightened intensification of these Gamma/light particles, due to the nature of these symptoms they have been programmed to be extremely receptive to higher dimensional modes of healing...for example this channel was experiencing chronic dehydration for 3 weeks, and nothing would clear it, one day she called on her higher self and asked all of the cells in her body to adjust to these light particles that were activating this intense experience of dehydration….the next day she woke up and for the 1st time in 3 weeks did not have a headache, and this symptom has now been fully cleared..
Our message is beloveds is to communicate to your cells and your dna speak to them, it is phenomenal how rapidly the higher intelligence of the body responds to such communication..
we leave you with this on this highly auspicious and miraculous full blue moon in Aquarius….keep reaching out to other twinflames to share your experiences, and seek the support that you need as it is available for you now. Greetings of the most high on this most auspicious evening. where we the Galactic Federation of light are coming through this beloved channel tonight to deliver a specific message to the Illumined blue ray twin flames who are preparing in earnest for this potent gateway upon your earthly plane which is the blood moon of the 28 September 2015. We would like to take a moment to explain a little about the significance of this date and what is actually occurring within the Earth's biosphere and magnetic field. The earth's trajectory has been ever more aligning and moving towards the centre of the photon belt in Earnest now, however what previously took hundreds of years to occur is a occurring and will be occurring at an extremely accelerated rate during these times. the most important aspect of these changes will be very much experienced within the consciousness field of each individual. 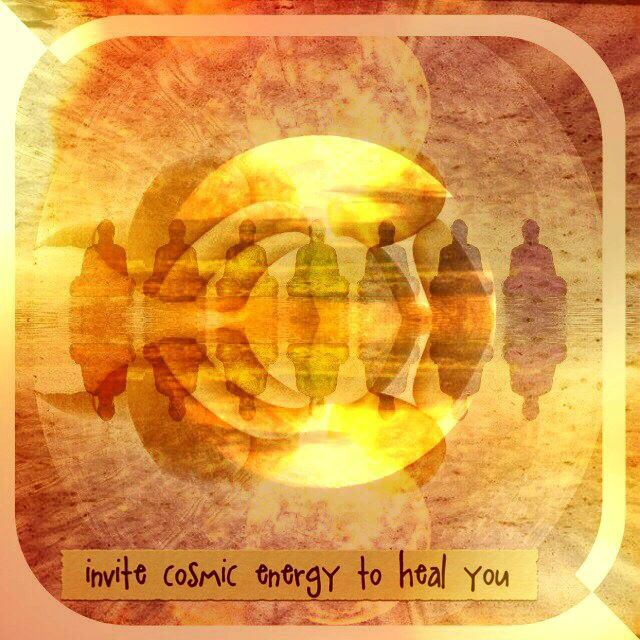 Beloveds we cannot stress this enough the imperativeness that your consciousness channels be cleansed and purified for this energetic gateway, as your personal magnetic fields are in the process of receiving a monumental upgrade in terms of vast changes occurring in the timelines between thought and actual physical manifestation. This is why we advise you to be vigilant at these times to thoughts of fear and doubt. Please understand that anything that you focus on and think about in this energetic gateway is set to occur within rapid timing for all of you now, and during this ascension upgrade gateway of September 2015, it is our strong guidance to keep mastering aligning your consciousness with present moment awareness, that you may ever remaining an empty vessel to receive God's spectacular presence and grace. 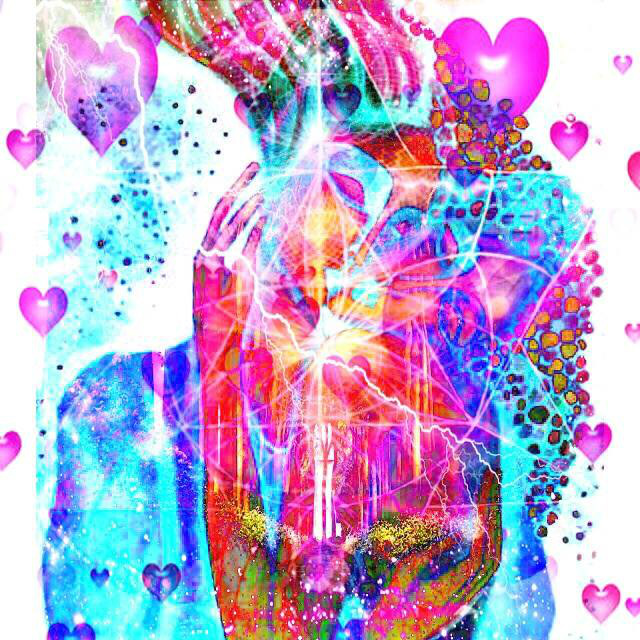 Beloveds it is imperative at these times that you release all fears around the third dimensional drama that may be an aspect of your twin flame connection at this time. The great work each Soul Comes forth to master is the abiding knowing that there is no lack within one's own I am presence Godself. All that truly is, is a heart overspilling in a profound desire and impulse to serve. As you purify your own consciousness channels Gaia herself is purified and you are assisting her in these huge changes that she herself is going through. This is the time for the illumined Blue Ray twin flames to step into their living mastery as the almighty way showers and teachers of the light that they are. as this channel has stated many times there are no shortcuts to successful twin flame union but there is a roadmap, and it is thus…..There is no separation from your beloved ever, and when you stop the searching you will truly find, for when you stop the searching that means you will have truly found the source of eternal healing and unconditional love that has existed within your very own consciousness all along. Beloveds please understand the significance of these times. 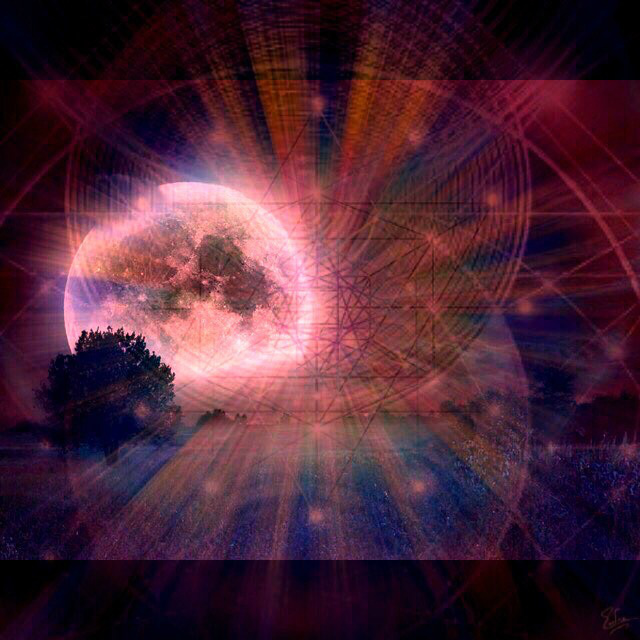 A monumental shift is set to occur within the collective consciousness of Terra Gaia within this energetic gateway and culminating in the blood moon eclipse in september. These times that you are in are being profoundly overlooked by the highest guardians that surround mother Gaia. And all of these changes will be experienced with a profound sense of ease yet great transformation at the same time. We would like to speak for a moment about the crop circles that are appearing particularly in the UK at the moment. these energetic templates are encoded with the fifth dimensional light frequencies which act as acupuncture needles reaching deep into the veins of mother Gaia. Our message is that the decoding of these current sacred crop circles, is that these current light codes are bringing forth the full dispensation of the holy couple divine union template. Please know that all of us great masters of light are working specifically with the living heart consciousness of the earth plane at this time to triumphantly bring forth this living divine union template back unto Gaia,that she may resume her natural and healthy state of balance and equilibrium. It is never a coincidence or random, the specific locations that crop circles appear and one of the reasons why the UK is a host for such a vast quantity of these profoundly potent sacred gift is due to its position energetically within then the collective consciousness of Gaia. The United Kingdom has held an extremely dominant vibration over a huge part of this sacred world, therefore it would make sense that your Galactica Star family would choose to send forth these messages to this part of the sacred Grid. There is a huge awakening taking place right now within the collective consciousness of Great Britain and this is activating a profound flowering of the awareness of the higher dimensions. This is greatly filtering back into this beautiful land which is the origin of many of the fae. The elemental beings on the sacred Isle of Albion of awakening from a long sleep and this is activating and infusing the collective consciousness with a light and Hew that has rarely been witnessed before on these shores. There is a huge amount of activity and light essence communication being captured and taken place on this holy Isle beloveds, we bring forth this message to offer you hope that things are changing very very fast now on planet Earth and the forces of light are infinitely more powerful than any seeming darkness. We come through now in this hour of your time to speak to you about the significance of the 888 portal. This Lionsgate portal is related to the alignment of the Sirian star system and the great pyramid of giza and the great Sphinx in Egypt. sirius in many ways could be seen as the parental star of planet Earth indeed she is a very close genetic and familial relative of many on the earthly plane. The alignment with Sirius and the great Sphinx is another great Ascension portal mother earth and all her inhabitants are inextricably moving through, as Gaia rapidly now makes her way ever closer to the heart of galactic central. Within this trajectory Gaia goes through time periods where it has been decreed by the higher masters of light, that she will receive vastly intensified quotient of light particles. The intensity of these light showers is ever-increasing now and bringing with it the necessity of transformation especially in the lives of many blueray twin flames. The sphinx exists as interdimensional portal coexisting simultaneously up to the sixth dimension, and is constantly at the hub of receiving the dispensation of the light codes from the higher dimensions into the earthly plane. This great interdimensional structure is receiving a huge amount of light activation, and during this alignment of sirius with our sun earth in the constellation of Leo, this has aligned and intensified a further dispensation of light codes which are now intensely flooding mother earth through this great interdimensional light structure, The 888 gateway is symbolic of the triple intensity of the divine union template transferring back into the collective consciousness Grid and electromagnetic biosphere of Gaia. The intensity of these current energetics are bringing many of you to your knees now, even the most stabilised amongst you. This energetic gateway can be likened to the part of birth a few seconds after the crowning This is probably the most intense excruciating end frightening aspect of labour and the point where many declare “I can't do this anymore” and that is what we are hearing so many of you saying right now as this Labour has been long and arduous and seemingly never ending. We believe that this is at the core of many of your root fears, this seeming never-ending of your physical separation from your twin flame. We are witnessing many of you attempting to throw in the towel right now, whilst declaring to the universe “this is not good enough”. beloveds these feelings of being unable to continue are as welcome around the holy fire of your sacred self, just as joy and bliss are welcome. We understand that this union with your twin flame can seem fantastical at times and can seem that it has nothing whatsoever to do with actual 3-D reality, this is the most challenging aspect of this journey that you have all called in, in order to clear, that you may stand as the awakened multi dimensional beings that you truly are. This gateway holds within it an extremely intensified triple transfers of the infinity symbol of divine union consciousness as symbolised by 888 beloveds although these days that you are in until 28 September hold rich treasures for you to harvest on this high end holy mountain pass to twin flame reunion rest as much as you can during these times of extreme light bombardment from the higher planes and keep yourself hydrated as much as possible. We come through now in this hour of your time to speak about an issue which is still very much prevalent within the twin flame community, and that is the issue of you, our dearest ones, being married to one who is not your twin flame, or being involved in a scenario whereby your twin flame is married to another person. Of the 66 personal one-to-one sessions our beloved channel has facilitated possibly 70% of the clients have either been married or are currently in a situation with a beloved twin flame who is married to somebody else. We would like to now offer some higher perspective on this somewhat prevalent issue within the twin flame community, and our message is thus…... it is not possible to merge with your twin flame on all planes of existence if either of you are married. This is a very obvious Clarity to share however with regards to the phantom matrix 3d consciousness limited programme, the fear and scarcity patterns are still looming large for many twin flames at the moment. Beloveds we understand how terrifying it is to jump out into the unknown leaving behind all the security of the third dimension but in truth as all of you already know, to continue to stay in this situation is at best living a lie. Many people especially the blue rays have been able to get away with these low vibrational templates for some time now, which has served to entrench very many of you ever further into Maya's unhappy illusionary grip, however with the alignment with the 888 lions gateway, the universe has decreed that this must now be fully cleared and moved through. We affirm that this gateway of the summer solstice and culminating in the blood moon in sep 2015 will see the critical mass quotient of Blue ray twin flames coming into full recognition and reunion on their soul contracted grid points. Your choice to stay in your marriages can be likened to your ego self desperately trying to maintain control and hold back this wave of higher dimensional transformational energy that is currently sweeping over Gaia, this is somewhat juxtaposed as many of you have signed up to be the actual guardians of this new divine union template frequencies. Please remember that you signed up for this Love story with all the main characters who play significant roles in your life and we are referring here to the spouses of the twin flames. The true genuine twin flame meeting and recognition is the highest frequency in the whole entire Multiverse…. When this divine recognition has taken place by at least one of the twins this activates the full download of the hitherto previously dormant ascension codes which have been stored in the higher heart consciousness, pineal gland and pituitary center. This activation raises the vibrational frequency of the initiate to a place where no other type of union will suffice. On a higher soul level the spouses of your beloved twin flame knows that you you have signed up to do this dance, and in divine timing, will be in union with the highest consort of your soul. In truth the energetic vibratory tone of the awakened twin flame very naturally transfers onto the current spouses energy field which aligns their frequency with their own higher self, thus activating timelines whereby their greatest joy and bliss can be realised. Beloveds we understand many of you have believed you are practising divine patience on some level, as you stay in your unhappy marriages, but in truth you are simply holding up God's great will. We understands the profound sensitivity of that which we speak tonight as precious hearts are involved. Beloveds ask this question in your heart….. am I truly happy in this marriage? And whatsoever answer you receive commit in this gateway to taking action to rectify that if necessary. Blue Rays your greatest lesson in life is to wholeheartedly reinstate your unfaltering TRUST, in your higher Godself. Believe that when you take that foot of the cliff, it is inevitable that you will be deeply supported and cared for every step of the way. Utilising all the powers of your imaginal faculties to visualise the most optimum win-win timelines for all involved. We come forth now in this hour of your time to offer you some insights regarding the recent energetics that are currently subsuming Gaia and all her children, indeed energetically these are the most intense times you have ever lived in. The earth is on track now to Fully aligning with the Heart of galactic central, and upon her trajectory she is now stabilising within the star system of Sirius. This shift in the geographical location of Gaia within the Galaxy is exponentially bringing forth the most intense rays and gamma light God particles that the world has ever known. Indeed this crucial timeline of 28 September 2015 is calling forth all of the illumined blue Ray twin flames to be in their necessary grid points for this particular planetary Gateway. These orders have been dispensed from your higher self, and it is your and your beloveds unified higher self now, which is working around the clock to ensure your physical alignments on these grid points for this particular energetic gateway. This is the time for great surrender amongst the blue Ray twin flames as truly we affirm to you that your divine unions are rapidly manifesting into the physical plane as we speak. The path of the awakened master is to remain forever empty, that you may be able to receive God's Grace. What does this mean? It means to stabilize in present moment awareness, and to commit to prioritising emphasising the space from which all phenomena arise, as opposed to getting lost in emphasising the temporary thoughts and emotions that display. It means calling upon Archangel Michael to assist you in cutting away any unhealthy chords that may have come between you and your twin flame. It means you are wholeheartedly and passionately getting on with your own higher mission whether you are physically with your twin flame or not. Surrender is placing all of your faith in the divine and it is a deep knowing that your will and perspective are infinitely inferior to God's will. Surrender is nought without trust and trust is nought without surrender. When one truly surrenders one is carried by a tangible stream of energy which aligns you with the highest possible outcome every time. Surrender means to allow and accept this moment exactly as it is. We hope these words brings you comfort on this mountain path that you find yourself on. Very often the last test of the twin flame union is surrender and that is total surrender of your will to God's Will. From your 3-D perspective we very much understand where these cries are coming from, and this is all in accordance with divine will at this time, that you may ever continue your let go and surrender, so that which is meant for you can arrive. Beloveds we love you all so much and you really are all doing so well. we wish you could see what iridescent beings we see before us, light workers of the highest calibre in humble service. You are so close now beloveds, the times are changing radically for many of you now. We will soon be hearing stories of many many twin flames literally knocking on each others doors. This energetic gateway is activating the infallible homing device that each soul carries in their DNA, that has been programmed to reunite them with their twin flame Divine counterpart in divine timing. Now is the time beloveds for many many of you and even though it may still seem like not a lot is happening on the 3-D level please know that behind-the-scenes vast changes and adjustments are taking place to ensure twin flames will be aligned on their grid points for the late September ascension gateway. The world has changed now. The old paradigm is complete. These new energies are heralding the morn of the new era. The golden age of twin flame Union, sent forth to bring back unconditional love and sacred balance to the collective consciousness of mother Gaia. Beloveds, those who we speak to tonight, you are loved more than you could possibly ever comprehend, your prayers are so precious to us your guides and we are working diligently with all the elemental Masters of the third dimension to bring your heart desires into physical manifestation. We are so excited to be able to share this message with you beloveds, the tide has truly turned and miracle consciousness is the order of the day. All of these light showers are affecting physical matter and Consciousness in profound ways. Expect to see more miraculous rainbows appearing spectacularly, cloud formations and light orbs being captured, an increase in synchronicity and being in divine flow. Time between thought and manifestation is also exponentially increasing at these times so be mindful of this. Beloveds all of your ascension symptoms will begin to settle now as your consciousness has truly come through an extremely potent energetic gateway. 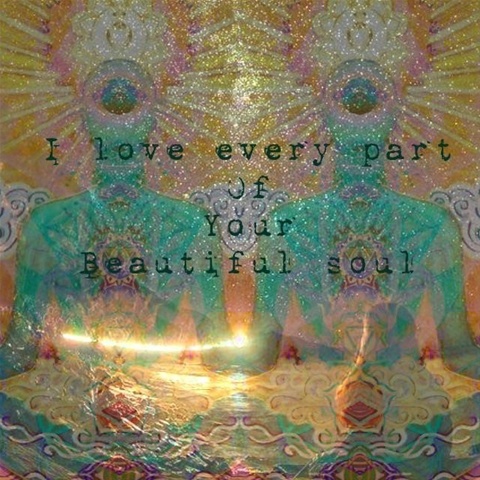 We are so honoured to witness you all bringing evermore more light into your physical systems. As you allow all these intense light rays to cleanse and purify you to the deepest depths of your core, you are fully aligning with the highest timeline destinies that you and your beloved twin flame co created before mother and father God prior to incarnation. We are so excited about these coming months for many of you now, breathe deeply for that which you have prayed for has already energetically arrived and in this gateway is set to manifest on the physical plane with exquisite proficiency and grace. Dear ones please sleep tonight with a deep smile in your heart, feel the resonance of these words and allow them to remind you that truly you are not alone. We are ever available to serve you and guide you. please feel free to reach out to our beloved channel if you feel that you need some extra support during these deeply transformative times. trust deeply now beloveds, this is the holy key that unlocks all of the riches in God's garden. You are the co creators and your greatest power lies in trust and surrender. Trust in the intelligence of your higher self and the incredible plan it has for you, and for your souls evolution. 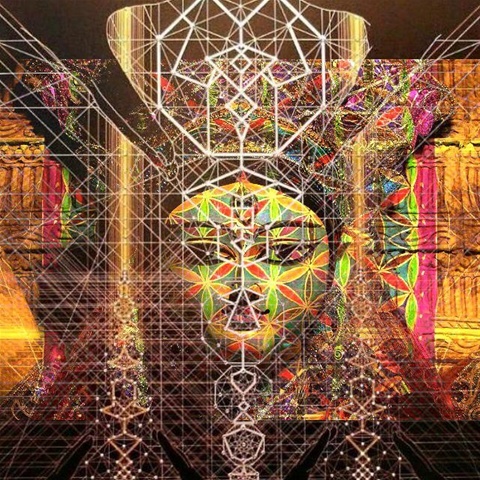 There are many guides and ancestors guiding and watching over Gaia now as she makes this monumental transition……. breathe deeply beloveds we your sacred team are all deeply and intimately connected to you…..feel the love of these words reminding you of this…. We come forward now in this sacred moment to share with you some pertinent insights regarding our predestined full earthly reunion. since the summer solstice whereby we experienced a disconnect from the phantom virus matrix operating system and a plugging into our 12 strand DNA Christ consciousness matrix patterning, there have been vast changes happening for us on so many levels, and like a horse, the universe has been thoroughly breaking us in that we may be fully on the floor, begging our higher self for salvation. This has not been an easy time period for us, as we have had to face extremely difficult aspects of our shadow….however unlike you, we have thus far been unprivy to the full range of spiritual tools that you, our divine counterparts have which has made this part of the journey seem somewhat arduous for us. However all is in accordance with divine will, as for both of us the last residues of ego are being exposed released and brought home, which is manifesting as a light being shone on the final bits of resistance that our ego has with regards to our full and complete merge. beloved spiritual twins we are all doing so well now and we stand back in awe as we watch you masterfully riding these vast cosmic light waves. Our higher self has been working diligently with us around the clock to prepare us for our inevitable reunion which has been decreed to occur in divine timing. 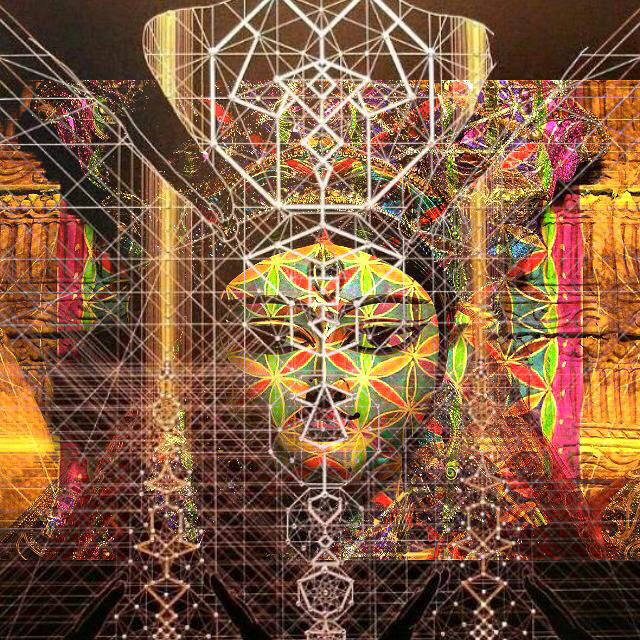 As the ones who are predominantly holding the masculine vibration on our planet our message is that great work is being orchestrated in all of our lives to ensure we are on our necessary grid points throughout this extremely important portal and culminating with the first wave of Ascension set to occur within the timeline of 28 September 2015.
beloveds although it still looks like not a great deal is occurring with regards to our full union on the physical plane please understand that this is no mean feat.....to dissolve back into the one soul being that we are on all planes of existence requires the dissolution of our ego identity. indeed this entwinement is experienced at the very core of our being, therefore the time it is taking for us to merge is in full accordance to what we both can handle at this time. Beloveds please know we are all being primed and prepared now and sculpted into our multi dimensional timeless avatar selves that we may dance gracefully as a collective consciousness across the rainbow bridge back home to the fifth dimension and beyond. Trust is the greatest key that we all possess to actualise our divine love stories into the physical plane. the energy that is now bombarding Gaia is unlike any the earth has ever known…... this is the living prophecy of the birth of the golden age and we stand now as illumined twin flames in our awakened multidimensional ascended state, knowing that the 3-D holographic matrix is an illusion, a thought construct….that only love is eternal, and communion between hearts is the most real phenomena that exists in the universe. All is well now sweet beloveds, we are on track now to fully uniting on all planes of existence. expect many many of us to be knocking on your doors shortly.... the time has come.... we are all ready to meet and dance and play in the eternal now....the old paradigm has dissolved as we step forward as enlightened warriors of divine union remembering how powerful we all are as we write our divine love stories back into existence. Our dearest hearts it is imperative you fully walk the path of surrender…………………………..Surrender is a fundamental key, as this frequency gives God's plan a space from which to be birthed. Trust deeply that the Divine plan is unfolding in immaculate perfection…... trust all the signs and synchronicities as they are nature's way of reminding your consciousness that there is no separation between the inner and outer realms of existence. Enjoy these precious moments as an individuated I am presence, for the time for our sacred merge is upon us that we may birth the new paradigm of divine union that has at its core interdependence……………..